SANTA CRUZ, Calif. (KGO) -- The U.S. Fish and Wildlife Service and the California Department of Fish and Wildlife are offering a reward of at least $10,000 for information that will lead to the arrest of a person who they say fatally shot three sea otters in late July or early August. Officials say three male southern sea otters were found dead between the Santa Cruz Harbor and Seacliff State Beach in Aptos between August 12 and 19. 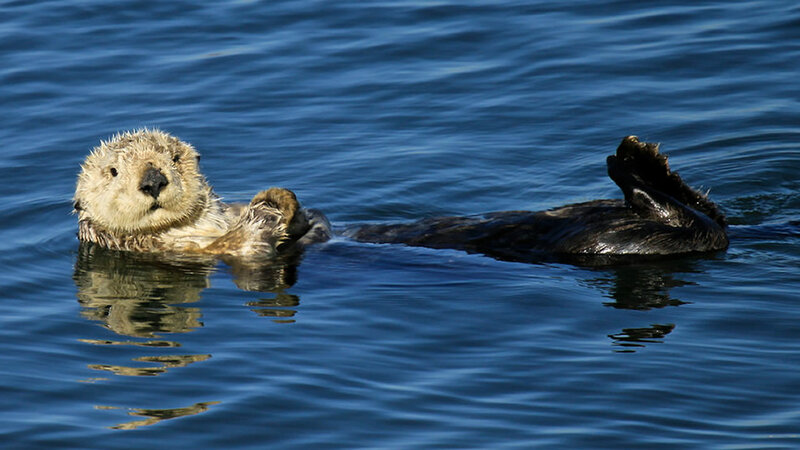 Southern sea otters are protected as a threatened species. Killing a southern sea otter is punishable by up to $100,000 in fines and a possible jail sentence. Initial necropolis results found that the otters sustained gunshot wounds and died several days to several weeks before washing ashore. The U.S. Fish and Wildlife Service Forensics Laboratory is conducting an examination. The reward of at least $10,000 is being funded through the Monterey Bay Aquarium, state Department of Fish and Wildlife and a private donor, wildlife officials said. Anyone with information about these or any sea otter shootings are asked to contact the CalTIP line at 1-888-334-2258 or the Special Agent of the U.S. Fish and Wildlife Service at 650-876-9078.